Serving Tulsa and the surrounding areas since 1993! Since 1993, Multi-Clean has been providing the Tulsa and the surrounding areas with the finest commercial cleaning services at affordable prices. From office cleaning and construction cleaning to floor waxing and carpet cleaning, Multi-Clean is proud to provide high-quality service with an unmatched attention to detail. We offer office janitorial services in the Tulsa area. We provide office cleaning solutions for service commercial offices, medical buildings, churches, call centers and industrial locations. 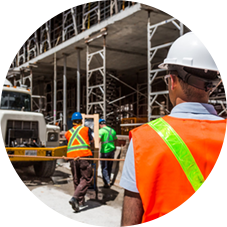 We service construction sites from 5,000 square feet to 600,000 square feet. We have the equipment, knowledge and know how to make sure your work areas are clean and safe. Commercial carpets are built for heavy daily use but, they can get dirty quickly. 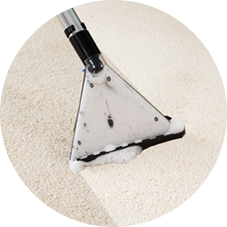 We can get your office and a regularly scheduled routine to keep your carpets looking good year-round. Our staff is trained to clean and maintain all types of flooring including hardwood floors, tile, ceramic, marble or vinyl. Contact us to keep your floors clean and get them shining again. Multi-Clean Commercial Cleaning Services had the pleasure of giving two individuals a ‘home away from home’ this year through a donation of services to the Hospitality House of Tulsa. Click here to read more. 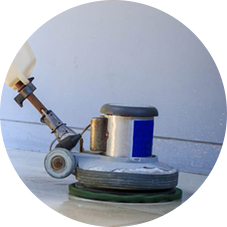 From window washing and vacuuming to specialized pressure washing, Multi Clean’s specialists are dedicated to thoroughly cleaning your location from top to bottom. Our team is professionally trained and utilize the same proven cleaning techniques and cleaning products for a consistently thorough clean that customers have come to expect. Our Multi Clean janitorial services Tulsa include: Office cleaning, construction cleaning Tulsa, floor waxing and carpet cleaning. Multi Clean of Tulsa, OK is excited to get started making your location look it’s very best with expert cleaning. Multi Clean Commercial Janitorial Services is committed to delivering only the best. We sweat over the details, so you don’t have to. 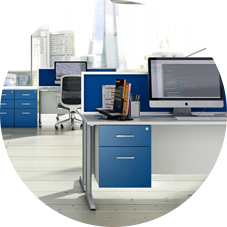 We want your office to always stay clean and give your business a good first impression. Each of our customers is unique, we believe in strong communication and giving you customized solutions to meet your needs. We will work diligently to resolve any concerns and always be just a phone call away. Multi Clean Commercial Cleaning Services has only had 1 owner. Kevin Thomas has grown up in Tulsa, attended college in Oklahoma. He and his family are dedicated to a team you can trust and who has your best interest at heart. At Multi Clean Commercial cleaning services, you get expertly trained crews, and a team of insured professionals who provide their knowledge and experience to keep your office safe, and secure. We value client feedback regardless of the size of the cleaning project. Multi Clean cleaning services makes strong efforts to satisfy our customers, build relationships and to continually grow through customer feedback. 5874 S 129th E Ave Tulsa, OK 74134 - Serving Tulsa and the surrounding areas.